Yep, this is America, where every event with even a hint of wrongdoing gets “gated,” i.e. the word “gate” gets appended to it. Especially when something happens to the largest company in America: Apple. Doesn’t that just sound strange, Apple being the biggest American company? That’s almost like Southwest being the largest airline. Oh, wait, that’s true, too. 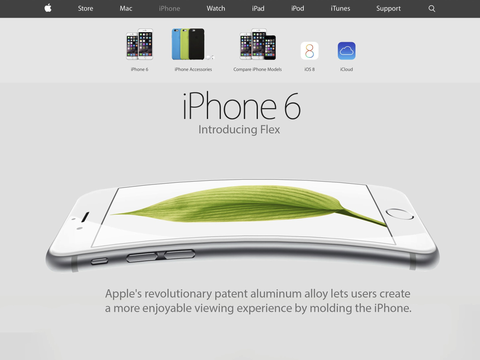 And so, welcome to Apple’s latest PR nightmare: Bendgate. It started two days after the first deliveries of Apple’s latest iPhones: the iPhone 6 and 6 Plus. Apple, responding to criticism that their smartphone offerings were trailing the competition in features and size, decided to make the latest generation of iPhones both bigger and slimmer than any of their earlier models. Aluminum is known as a soft metal, and common physics tells you the bigger you make any piece of aluminum, the easier it will bend. And so it is that it took but two days for the first report of the “flexible” new iPhone 6 to hit the highway of electrons. As you can expect, that caused a bit of a stir in the Apple community (which is where the forum post was made). 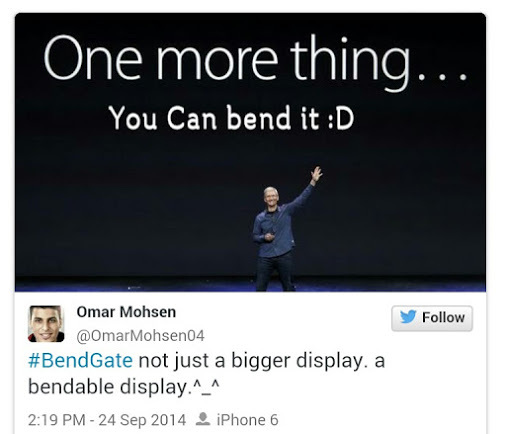 More reports of “unintended bending” (apologies to 60 Minutes) followed, and it didn’t take long for the movement to acquire its name: bendgate, mainly because Apple didn’t respond, making it look like a cover-up. Several enterprising YouTube stars sprang into action to prove, or disprove, the bendgate allegations that these expensive devices (yes, at $700 and up, they’re more expensive than many laptops) are taking smartphone flexibility to unwanted new highs. Being a high profile company has its drawbacks, as Apple discovered. It didn’t take long for the bendgate news to hit prime time, as this NBC news excerpt shows. Apple, so far, has not responded with an official policy, other than noting that only nine people have complained directly to them. Tellingly, though, they didn’t say how they resolved those complaints… and that may be what’s adding grist to the mill. From all appearances, it looks like Apple is following the path of the NFL and its domestic abuse crisis: do nothing and hope the storm dies. 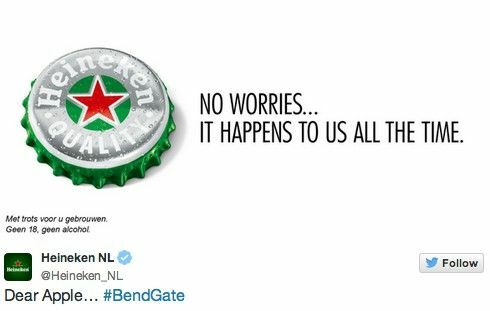 It may, but in the meantime, the unresolved dilemma has been a boon to humorists and critics, and in the past few days the internet has been flooded with bendgate spoofs, lampoons and parodies. 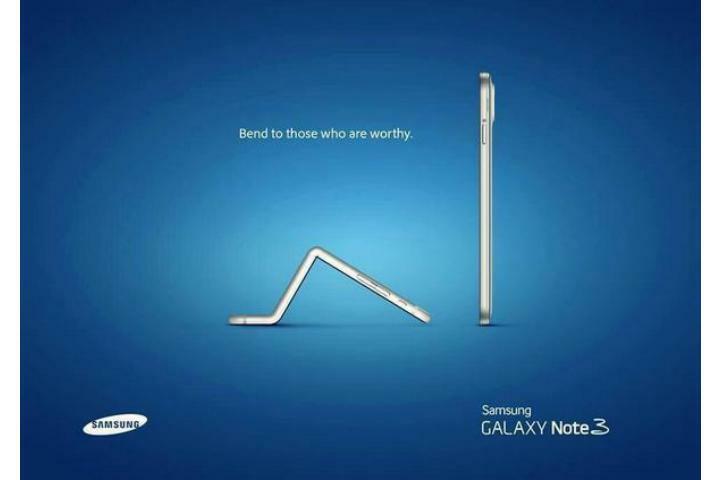 The competition had a few chuckles at Apple’s expense, too. That had to feel good after enduring needles and jabs from Tim Cook and Steve Jobs through the years about their products’ inferiorities. As you surely know by now, in a media firestorm there usually is more smoke than fire. Apple has not helped its cause, maintaining its tradition of stony silence, and refusing to admit the slightest imperfection. And so it was Consumer Reports who stepped into the breach with some objective testing. As you can see, the iPhone 6 and 6 Plus are on the “delicate” end of the spectrum, but not the most delicate. They are significantly down on strength compared to their predecessor iPhone 5, though. 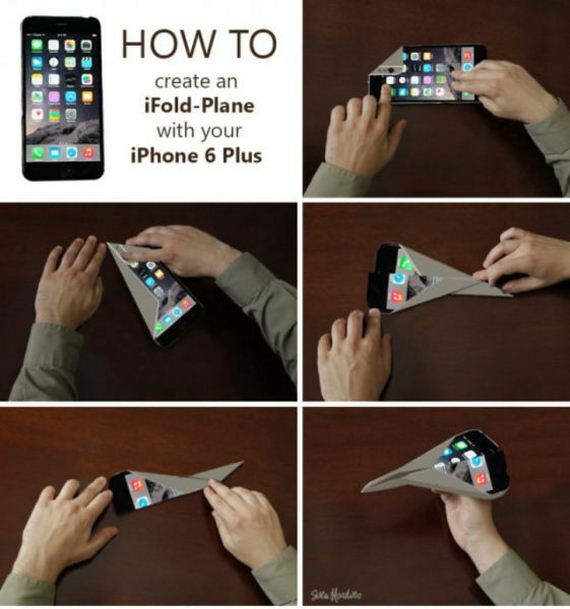 As long as your jeans are not too tight, then, it looks like your shiny new iPhone 6 is safe enough. The good news for you is Stailey Insurance offers you protection against loss, theft or damage (yes, bending included) for your iPhone x as part of your homeowners policy… for little or no extra money. Certainly far, far cheaper than Apple or the cell carriers will want to charge you. Do not buy any “protection plan” before you give Grant or his team a call. They’re covering my new iPhone 6 (which hasn’t bent yet). This is a total no-brainer. Give them a call today. 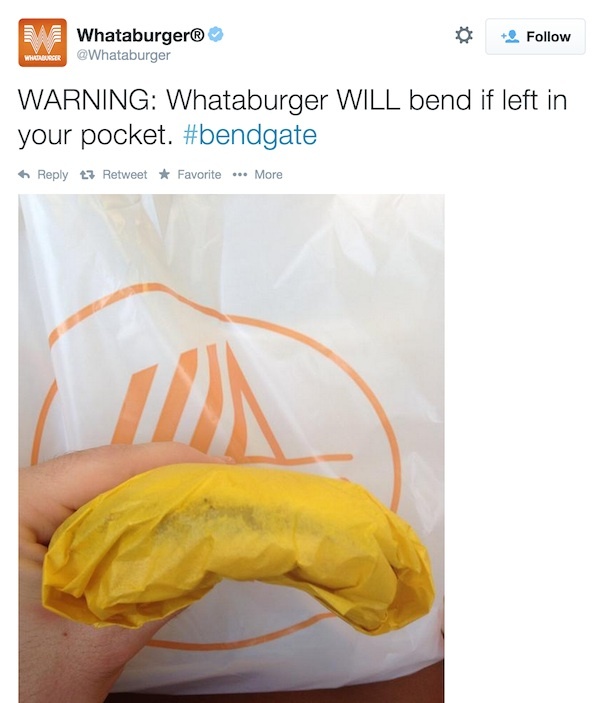 Just be careful where you put your iPhone 6 after the call, though.